Consultations are offered in person or by telephone. In either case, fees for my professional astrological services are structured around time. All services are billed according to the time required in consultation and preparation or research. Whether you are a returning client or a new client, we can arrange your appointment time by email, or you can phone me at (860) 664-3590 to set up your appointment. New clients are welcome, and your session will last between 60 - 90 minutes. Prior to your appointment, you will need to provide your complete birth information – date, time and place of birth. I will also need your contact information. Established clients are invited to contact me for updates, or you may also schedule shorter sessions that might focus on a single question or issue. Should you desire to include analysis of the chart of other individuals (as in a relationships consultation), additional fees apply. In any case, your fee is determined according to the schedule below. Your chart is a symbolic picture of You. Once your astrological chart calculations are complete, your personal cosmic snapshot can be explored in the context of all your life experiences. Most people are familiar with the use of astrology for better self-understanding and self-awareness. Also, using astrology as a timing tool is stellar! In a personal consultation, we can probe deeply into your natal chart as a means of enhancing your own sense of Self, and also look into the cycles significant to the past, present and future. If you're new to astrology, we'll focus on the way your natal chart shows itself in your life, and what it indicates regarding your personal potentials. If you're familiar with your chart, we will not spend as much time on the analysis of your natal chart and will, instead, expand our focus to explore your cycles and work with your specific questions. A reading of your birth chart encompasses a dialogue facilitated by the use of your chart. While I will certainly explain your chart, cycles and more, it's important to realize that you also have much to contribute through your questions and concerns. You're invited to bring your questions, concerns, and comments into your session. Plus, we can travel through the times of your life, weaving past, present and the potentials of the future by studying the cycles. We'll look carefully at the many cycles in place influencing your own life at any given point in time, and can use future cycles to plan your life. In your 90-minute session, about one-third of the time will focus upon your natal chart and the balance of time will feature the current cycles you're experiencing, and then we'll look at the cycles for the twelve months ahead. Some of these cycles will last much longer than a year, and the extent and period of their significance will be explained. Astrology also provides key information about relationships. Studying the charts of two or more people in relationship to one another is always a hot ticket item. After all, with the astrological charts, you can see where you and someone else connect, and whether the connections you have are healthy or potentially problematic. It is suggested that both parties attend the Relationship Analysis, but if both have given permission to explore the relationship using astrology, we can accomplish a great deal just working with one person. Your session will last one hour, and you will also receive a computer-generated printed astrological report (about 25 pages) for your reference. Yes! You can use astrology to explore location -- whether you're planning to travel, move, or form a special connection to a place. Techniques incorporating location changes provide a unique way of looking at how location can influence the life of an individual. We can explore the world, and how change in location might provide particular opportunities or challenges. But we can also explore just a few specific places. 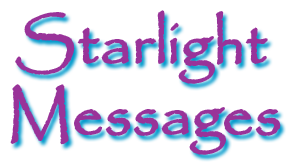 Please inquire about how you might best use Astro-location for your current life situation or personal concerns. You can use astrology to pinpoint the best times for any action or activity. Planning elective surgery? 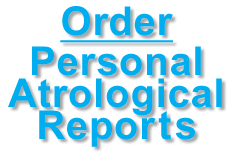 Astrology is an excellent tool for determining the best dates for any such procedure. How about a wedding? Finding the best time for a wedding is one of the most frequently requested elective applications of astrology. Whether you're looking for the best dates to begin something or to end something -- astrology can illuminate better choices. This type of astrology can be easily applied to actions like opening a business, signing a major contract, or moving. Generally, I will offer you a short list of dates and times for the actions you "elect" to undertake. In this use of astrology, most of my work is behind the scenes -- the research into your best choices. My fee is for research time, a short consultation or email (included is a 15 minute consultation or or a focused email outlining your options). If more extensive consultation is required, a special appointment is suggested (standard consultation rates apply, and your fee will be pro-rated for time spent). Additionally, I do provide limited services through Email. Email questions must be limited in scope. If a question is more complex, it is suggested that you consider a consultation instead. For any of the services noted, if you wish to add additional individuals to your consultation, such as questions about a family member or in a relationship analysis, there is an additional fee for each person. Payment for services is accepted in the form most convenient for you. I honor personal or bank checks or money orders drawn in US funds, accept all major credit cards, and offer PayPal options.